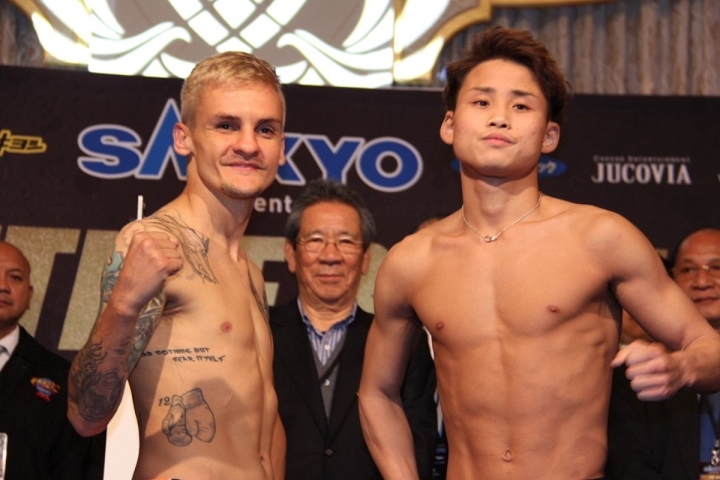 Wynn Palace Cotai, Macao – Undefeated Hiroto Kyoguchi (12-0, 9 KOs) became the first man to stop Hekkie Budler (32-4, 10 KOs), as he secured a TKO victory in the eleventh round to capture the WBA (super) junior flyweight world title. Budler has had a career with big highs and some real lows. In 2017, he was dropped in the final round and lost a twelve round unanimous decision to then IBF champion Milan Melindo. But then Budler came back in May of this year with one of the biggest upsets of the past twelve months – by winning a razor close twelve round unanimous decision over Ryoichi Taguchi to capture the IBF, WBA world titles. Taguchi had beaten Melindo to unify the belts. Budler would eventually vacate the IBF’s version when he was pressed to make a mandatory defense. Kyoguchi picked up the biggest win of his young career, but he’s been rising up in the ranks very quickly since making his pro debut in 2016. He holds wins over undefeated Vince Paras and beat veteran Carlos Buitrago. He also captured the IBF’s minimumweight title back in July of 2017, with a win over Jose Argumendo. Kyoguchi made two defenses before moving up in weight in September of this year.